Most games today put you in the shoes of the valiant knightly figure saving the world, or the jaded antihero caught up in global plots, but rarely do you find yourself a bystander to the chaos of the outside, with the interpersonal relationships and struggles that Triple-A behemoths might write off as mundane at the forefront of your experience. VA-11 Hall-A: Cyberpunk Bartender Action gives you this experience. Described by developers Sukeban Games as a “booze ‘em up about waifus, technology, and post-dystopia life,” you are Jill Stingray, serving customers you receive from the unforgiving ultra-corporate dystopia of Glitch City, Hong Kong in a series of drink-mixing minigames. But this isn’t what makes VA-11 Hall-A so special. What truly solidifies the game as a worthwhile experience is the time it takes to explore the relationships between Jill, the player, and the other characters that you meet along the way. You form close friendships, you dabble in romance, and you work through past trauma for better or for worse. 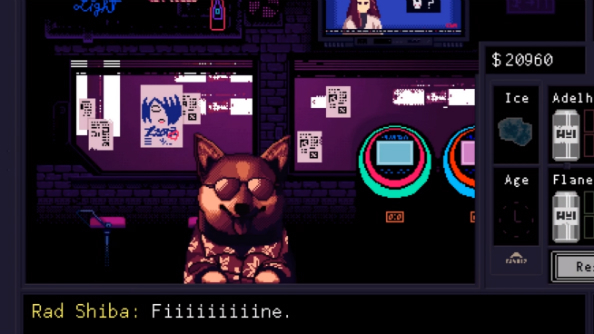 VA-11 Hall-A makes you feel like a regular citizen in a world full of cyborg assassins and android K-pop stars, and it’s a feeling that you won’t be able to get enough of. Is Gillian from VA-11 Hall-A a Revolutionary Comrade? Pong – A Secret Communist Propaganda Video Game?